Archives of Budo values your privacy. This Privacy Statement of Archives of Budo (“Archives of Budo” “we” “us” or “our”) outlines how your personally identifiable information and other personal data (your “user information”) will be collected, used, and shared in connection with your access to and/or use of archbudo.com and any content, features, services, or other offerings that Archives of Budo may provide in connection therewith (collectively, the “Site”). This Privacy Statement also describes your choices and rights regarding the use, access and correction or deletion of your user information. By using the Site, you consent to the use of your user information in accordance with this Privacy Statement. If you are located in the EU, you will also be asked to provide clear and unequivocal affirmative consent to the collection, processing, and sharing of your user information via cookies and similar technologies. 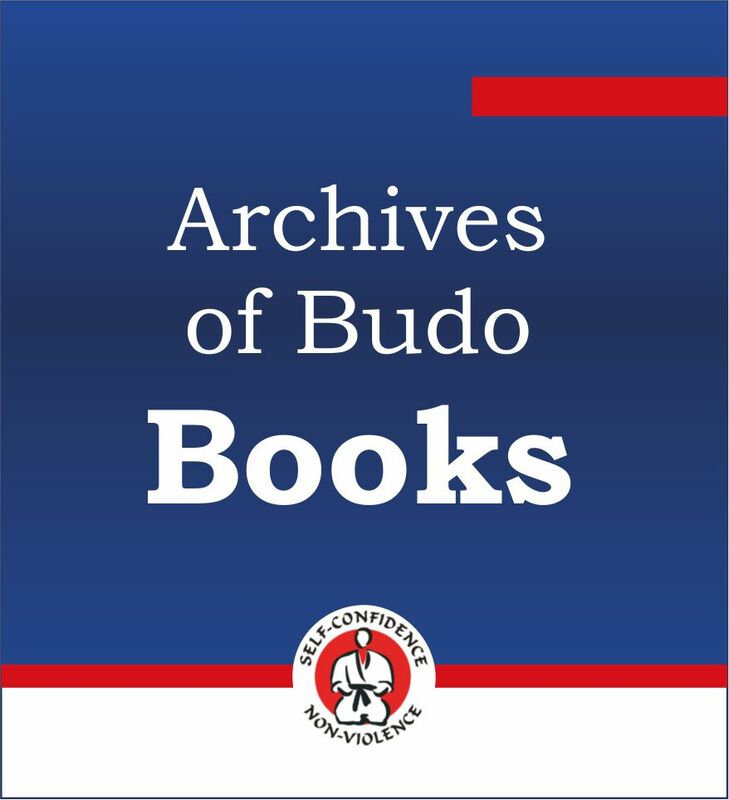 The Site is owned and operated by Archives of Budo. To enhance, personalize, and support your experience on the Site, among other things, we collect, use, and share your user information. For example, we use aggregated information to develop content targeted to user interests and to generally improve the Site's user experience. As detailed below, your user information may also be used by Archives of Budo and its partners to tailor content and ads, provide social media features (e.g., features that allow you to share content directly to your preferred social media platform), track your preferences, analyze traffic, and provide similar services and content. Archives of Budo is committed to your privacy and will not share any user information with any third party without your consent, except as outlined in this Privacy Statement or as permitted by law. If you have any requests, comments, or questions about this Privacy Statement or your user information, please contact us in the manner provided below. This Privacy Statement covers the Site. While you may encounter links on the Site to other websites, such as those relating to our partners, please note that these websites are not covered by this Privacy Statement (unless otherwise noted on such site, which may be the case if, for example, the site is also owned and operated by Archives of Budo). This Privacy Statement does not apply to the activities of Archives of Budo partners that may collect your user information while accessing or using such third party's services in connection with your use of our Site. The privacy and information practices of those third parties are not covered by this Privacy Statement. To learn more about such third party policies, we encourage you to read and review the privacy statements of each third party service that you may choose to use in connection with the Site. This Privacy Statement applies only to information collected by us. Archives of Budo may collect user information that is voluntarily provided by you or with your permission. For example, we may ask you for information, such as your e-mail address, when you register to the Site or register for a Archives of Budo. You may also provide information to Archives of Budo in other contexts, including, for example, on your account profile to enter into submission platform. You always have the option not to provide the information we request. If you choose not to provide the information we request, you can still visit most of the Site, but you may be unable to access certain options and services. When you register to the Site or provide information to Archives of Budo in any other manner, you agree to provide only true, accurate, current and complete information. Essential Cookies. Certain cookies are used for specific purposes that are essential to your secure use and navigation of the Site. Without them, Archives of Budo may not be able to provide core Site functions and features to you, and the Site would not operate as well as you or Archives of Budo would like. These cookies collect and use information such as your server preferences, single-session data and corresponding identifier, web beacons and log files, and other credential-related information. For EU individuals, essential cookies also help inform Archives of Budo whether you require, or have already been served, an affirmative consent request in connection with the GDPR. Essential cookies include analytics cookies, which provide us data that allows Archives of Budo to better understand its users and improve the Site based on what we have learned from that data. Preference Cookies. Other cookies are used to collect and process information about your preferences and similar choices in connection with the Site in order to optimize your browsing experience (e.g., various local preference settings; which geographically-customized version of the Site and related content you may prefer). You may be requested to voluntarily provide certain user information during your use of the Site. If you choose to do so, that user information may be shared with Archives of Budo as well as business partners and vendors providing hosting and other services for Archives of Budo. We use third parties to provide submission platform and hosting services on the Site. When you sign up for such services, we will share your user information only as necessary for the third party to provide that service. These third parties are prohibited from using your user information for any other purpose. If you do not want your information to be shared, you can choose not to allow the transfer of your information by not using that particular service. From time-to-time we may provide you the opportunity to participate in contests or surveys on our site. If you participate, we will request certain personally identifiable information from you, such as your name and e-mail. Participation in these surveys or contests is completely voluntary and you therefore have a choice whether or not to disclose this information. We use this personally identifiable information to notify the survey results. We hire other companies to provide limited services on our behalf, such as submission, editorial, publishing platform the processing and delivery of the journal content, including full texts. We will only provide those companies the information they need to deliver the service. In some instances, these companies may collect information directly from you. In these cases, you will be notified of the involvement of the external service provider. In all cases, these companies are subject to agreements that require them to maintain the confidentiality of your information and they are prohibited from using that information for any other purpose. The ownership of the Site may change at some point in the future. Should that occur, we want this site to be able to maintain a relationship with you. In the event of a sale, merger, public offering, bankruptcy or other change in control of Archives of Budo, your information may be shared with the person or business that owns or controls this site. Opting out of receiving information from third parties will not affect our right to transfer your information to a new owner, but your choices will continue to be respected regarding the use of your information. You will be notified as described below in "How will I know if the Privacy Statement is changed." Archives of Budo may disclose your personal information if required to do so by law such as to comply with a subpoena or in the good faith belief that such action is necessary to conform to the edicts of the law, protect your safety or the safety of others, investigate fraud or comply with a judicial proceeding, court order or legal process served on Archives of Budo or to protect and defend the rights or property of Archives of Budo. Notice to EU Individuals: As outlined in this Privacy Statement, Archives of Budo will not process your user information without a lawful basis to do so, as such bases are defined in Article 6 of the GDPR. In general, Archives of Budo will process your user information on the legal bases of consent, contract (if you have entered into an agreement with us and such processing is a necessary part thereof), or legal obligation (as noted above). Archives of Budo may also process certain user information on the basis of the following legitimate interests, provided that such interests are not overridden by your privacy rights and interests: delivering and continuing to develop and improve the Site, learning from your behavior on the Site (e.g., analyzing traffic) to better serve you and other Site users, helping us modify or enhance the Site and its content, receiving insight as to what users do (and do not) like about our Site or aspects thereof, and providing a stable, consistent, and secure user experience in connection with the Site. We care about the protection of your user information. Of course, it is important to keep in mind that no data transmission on the Internet is guaranteed to be 100% secure. Your information is stored on Archives of Budo servers located in the Poland. We use industry standard physical, electronic, and organizational safeguards to protect your user information against loss or theft as well as unauthorized access and disclosure to protect your privacy. We treat data as an asset that must be protected against loss and unauthorized access. We employ many different security techniques to protect such data from unauthorized access by users inside and outside the company. However, "perfect security" does not exist on the Internet. If you are concerned that your privacy may have been breached, please contact us as provided below. Note: the above information is based on the Forbes website.